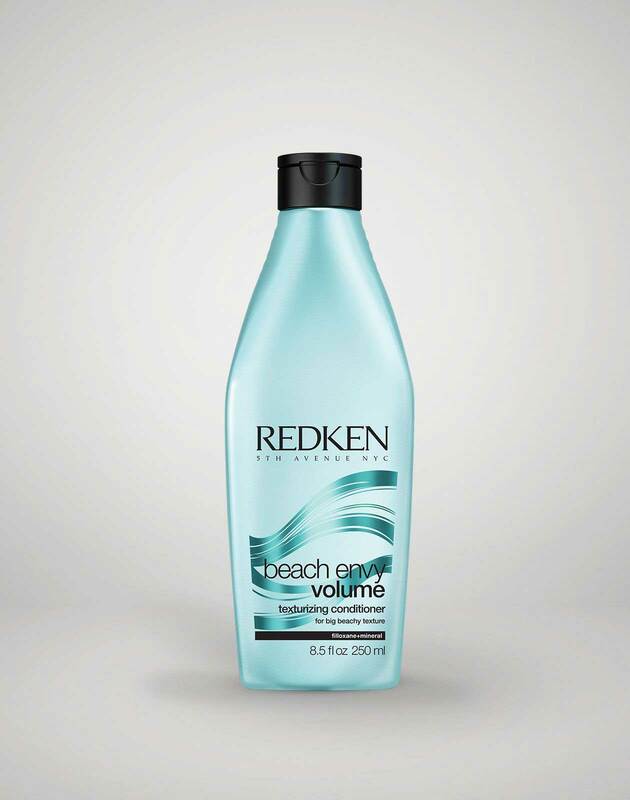 Start with clean hair by washing with Redken's NEW! 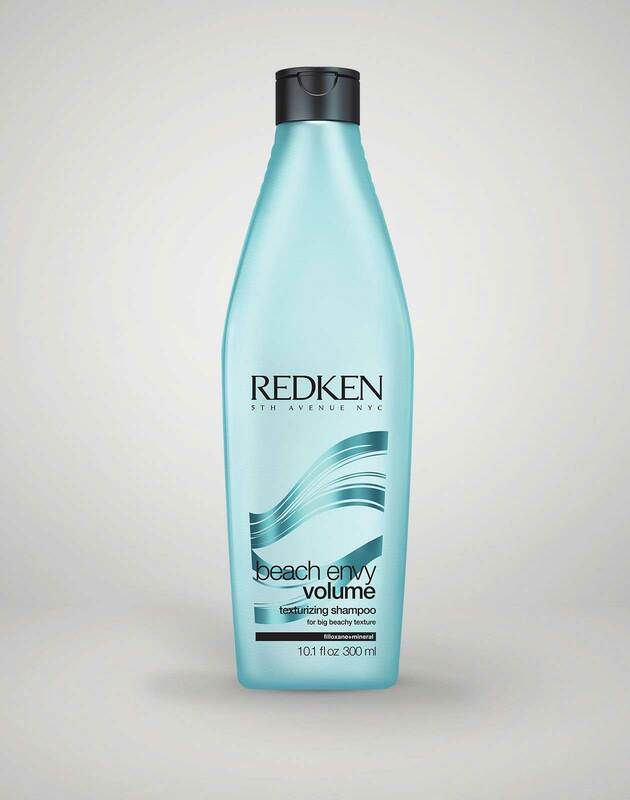 Beach Envy Volume Shampoo and Conditioner (available in salons March 2016) to emphasize the hair's natural texture. Allow hair to air-dry, then create a deep, messy side part using a comb. Liberally spray Redken wax blast 10 high impact finishing spray-wax all over hair, focusing on the roots, to add extra volume and texture. Starting halfway back at the crown of the head, comb hair back into a low ponytail and secure with an elastic. Using your fingers, gently lift and loosen strands of hair above the elastic and surrounding the part to create a piecey look. Brush through the ponytail, then slightly pull hair on opposite sides of the part to further loosen strands. Pin back loose hair on either side of the face to emphasize separation. 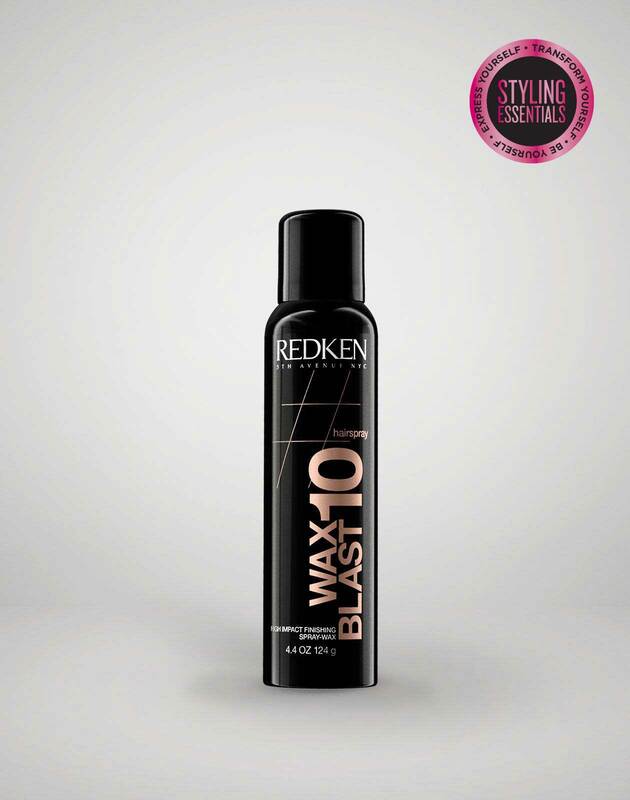 Spray Redken wax blast 10 high impact finishing spray-wax on ponytail for choppy dimension.